This is the municipality of Santa Barbara and I don't exaggerate when I say that what we are going to discover today is a hidden treasure. Los Andes, a Private Nature Reserve, located on the western chain of Guatemala’s volcanoes, is among the first cloud forests dedicated to the protection of the Resplendent Quetzal (Pharomachrus mocinno), whose courtship and nesting activities attract birdwatchers from around the world to the Reserve. 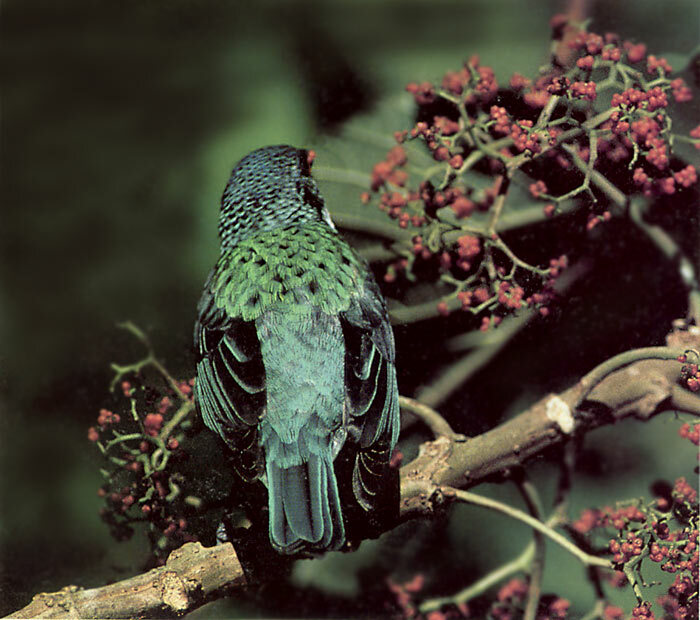 Los Andes is also home to the rare cabanis tanager (Tangara cabanisi). This small, blue, exquisite bird’s habitat is shared by hundreds of local and migrating species, including a host of hummingbirds, orioles, flycatchers, trogons and motmots. The Reserve works closely with the residents to promote self sufficiency, health and education and the most important accomplishment is that they are being successful with a method that goes from the traditional education of repetition to an education of understanding, which is clearly reflected in the school’s slogan “Learn, achieve and share”. The unique biodiversity of the Reserve, including wildlife, has tremendous potential for Eco-tourism and local residents are being trained as guides to provide them with an alternate source of income, and that is why at Los Andes we can enjoy a variety of activities including bird-watching, explorations through the coffee and tea certified sustainable plantations, the botanical garden, and through the cloud forest to admire more than 50 species of exquisite orchids. For the adventurous, Los Andes Reserve also offers a river adventure and hikes to the top of the beautiful Volcano Atitlan. 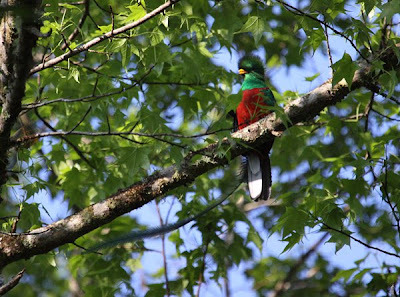 The core of Los Andes, of course, is The Quetzal Project, an initiative started by Dr. Anne LaBastille back in 1968, when she first visited Los Andes and worked on a Quetzal research project. The result of this was an article published in the January 1969 edition of National Geographic. She also created, in 1972, the first Association in Guatemala dedicated to the conservation of this magnificent bird, making Los Andes the first protected area officially declared in Guatemala for the protection of the Quetzal. Artificial nest boxes were designed by Dr. LaBastille in an attempt to reduce the mortality of nesting quetzals, whose nest trees and stumps often fall down. The boxes were placed in the cloud forest in safe locations and eventually were accepted and used by a few birds, a method that is still in use today! This elusive bird can be better observed during two distinctive seasons, from November to January and from April to June, which is the nesting season. Los Andes Nature Reserve certainly is an area in which agricultural production, human development and environmental conservation are carried out in a harmonious and sustainable manner, for the well being of present and future generations. A detail of Dr. LaBastille work in Guatemala and other parts of Central and South America.